How Much Could You Do with 270 Square Feet? 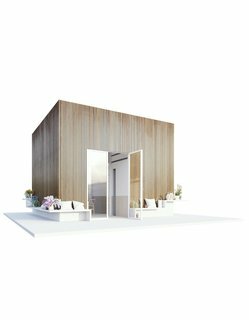 Taking its lead from a Swedish building code, a new book proposes ingenious concepts that can fit in 270 square feet. 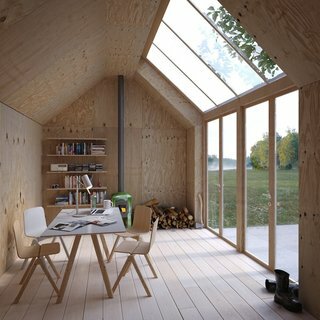 The Swedish building code includes a unique provision that allows owners to build small, 25-square-meter (roughly 270 square feet) structures without much oversight, as long as they complement a standing home. 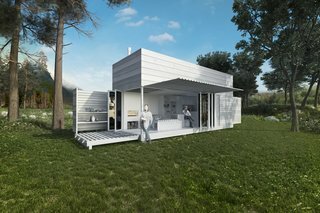 Intended to allow for easy expansion of existing space, this rule inspired journalists Eva Wrede and Mark Isitt to use these cabins as a starting point for speculation and creativity. 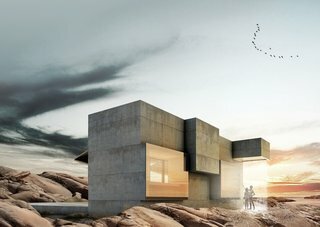 They queried a group of Swedish architects, asking for their take on the concept, and collected the results in a new book, 25 Kvadrat (Max Ström). 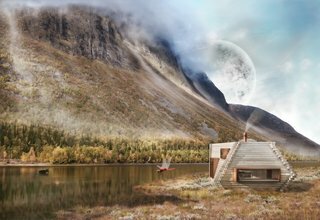 From fold-up containers to space-age takes on log cabins, these proposals showcase new possibilities for freewheeling, small-space construction in a country already obsessed with free-standing cottages. Ateljé 25 by Waldemarson Berglund ArkitekterThis archetypal Swedish building form, shaped like a Monopoly house, serves as an artist’s studio, with a simple plywood interior and massive skylights to let in natural sunlight. "A main home is like the album," says Isitt. "The smaller building is more like a pop single. You can experiment and not take things too seriously." Arvet by Trigueiros ArchitectureThis unorthodox take on the traditional Swedish log cabin stacks angled wood pieces to create a curved facade. The build-it-yourself concept calls to mind Lincoln Logs; it can be assembled from a set of numbered pieces. Ett Med Naturen by Marge ArkitekterEnglish for "one with nature," this relaxed structure with a built-in outdoor bench adapts to the landscape, with terraces spilling out over the ground. 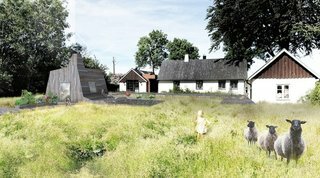 Bänkhuset by Wingårdh arkitektkontorSwedish for "bench house," this project would maximize space by running a bench around the perimeter of the cabin. The interior features other space-saving tricks, such as making the most of under-bed space. 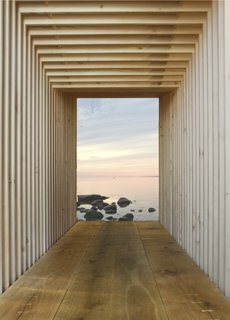 Hundra Kubik by Arkitektstudio Widjedal RackiPlaying off the Swedes' love of nature, this concept with a lofted bed opens up to the great outdoors, and is so flexible that it could be closed, folded up, and shipped off to a new locale on the back of a truck. Vattefall by Bornstein LyckeforsThe title of this Brutalist-esque concept is a play on words, combining the Swedish name for waterfall and the name of the government official who came up with the idea for these 25-square-meter buildings. Kajakhuset by In Praise of ShadowsThis "kayak house" is a sleek boathouse with a utilitarian interior that can be adapted for myriad other uses. Constructed like Legos from similar pieces of wood, the structure is capped by two glass doors.